I wore this out and about saturday afternoon. Boo and I thought we would go out, completely not realizing that it was the last weekend before Christmas weekend. Man, oh man, were there a lot of people. Everywhere. We ended up stopping into the jewelry store to look at wedding bands. We didn’t actually buy any - we still have a bit before we have to do that. But it was nice to look around and get an idea of what we might like. Plus, I got to try on a lot of sparkly things, so I had fun. I am just a girl, after all. P.S - congrats Michelle Sturdivant! 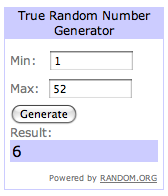 You are the winner of the Shabby Apple giveaway! Shoot me an email at HLKeenan22@gmail.com .